The most trusted resource in healthcare law is this classic text from George Pozgar, now completely revised. With new case studies in each chapter, The 11th edition will provide your students with the most up-to-date information on the newest laws affecting the healthcare industry. The 11th edition presents a wide range of health care topics in a comprehensible and engaging manner that will carefully guide your students through the complex maze of the legal system. This is a book they will hold on to throughout their careers. Course instruction is made easy with helpful instructor resources such as PowerPoint™ slides, Instructor’s Manual, TestBank, answers to chapter review questions, and more. 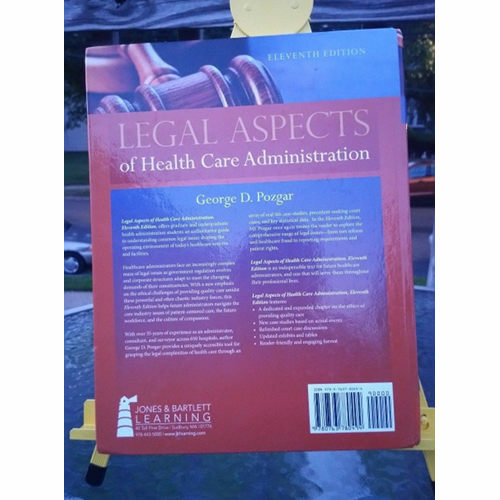 PRAISE for the 10th Edition “Like the previous editions, this handy, easy-to-read reference is a practical, at-your-fingertips resource that concisely explains key issues and elements of the legal aspects of healthcare administration. The information is reliably accurate and objective. 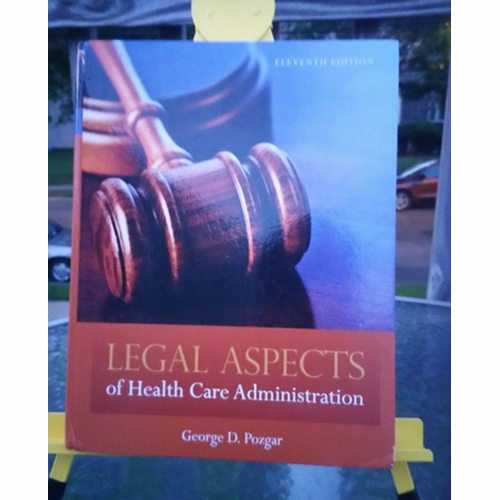 Once again, this edition rightfully deserves a permanent place on the bookshelves of today’s healthcare innovators, thinkers, scholars, learners, and leaders.” ―Doody’s Book Review Service, June 2008 Doody’s Rating: 5 STARS!